The Feminist Majority Foundation is working to increase public awareness about the dire situation in Afghanistan. The country needs the security and resources to enable people to rebuild and give Afghan women and girls back their futures. 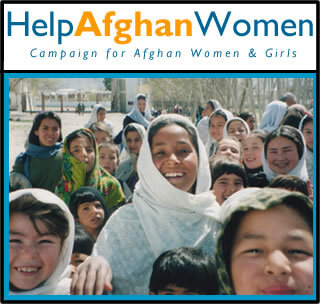 We are providing some direct assistance to Afghan women and girls by awarding small grants to Afghan women-led NGOs for health and education programs, selling crafts made by Afghan women and sending back to them 100 percent of the proceeds, and providing scholarships for 31 young Afghan women to study in the United States.